I realize it is far too early in the season to put any stock in these whatsoever, but regardless the current Baseball Prospectus Playoff Odds are a thing of beauty. Something to enjoy with a smile on the off day. Edit: The FanGraphs Playoff Odds aren’t quite as bullish on the Brewers just yet. What's the difference between playoff pct. and playoff pct. adj? Darvish with another bad start tonight. And their bullpen completely implodes again. ERAs currently at 8.10, 45.00 and 13.50 respectively. We think we have pitching problems. It appears that David Bell went the Joe Maddon school of bullpen management. By the end of the weekend the Brewers and Cubs could be separated in the standings by as many as 7.5 games or as few as 1.5 games. The Brewers 7-1 record and .875 winning percentage are both top in all of baseball. Never mind that it represents less than 1/20th of the season, it’s a great start! The job that Brody VanWagenen has done with the Mets line-up and bullpen is gonna get them into the playoffs. Line-up outside of cano is young and strong with my pick for ROY in Alonso. No team has a degrom. Familia and Diaz at the backend, only thing holding that team back is their manager. East is unreal. Watching Andrew Miller implode doesn't stink. So much for that Miller, Reyes and Hicks combo being un-hittable. 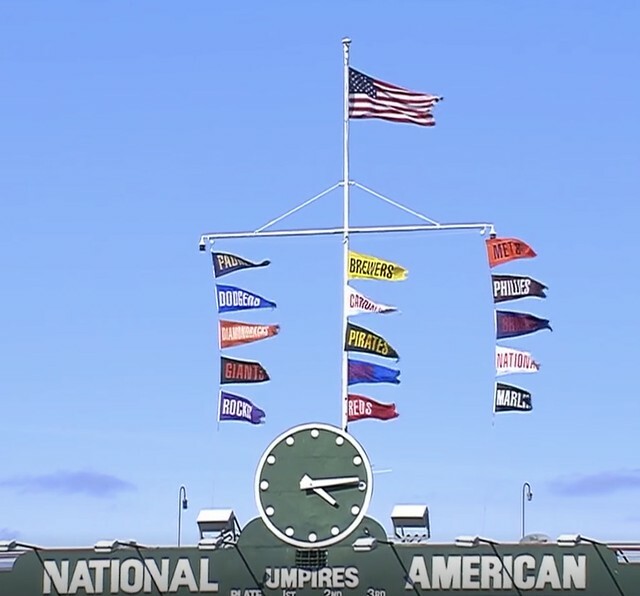 A windy day at Wrigley makes it even easier to see who’s on top of the NL Central standings. Surprised as I looked at Standings today to see Cincy is 5-8 with a +10 run differential as a result of only 37 runs against. So less than 3runs a game given up thus far. Something to keep an eye on if they have some better pitching moving forward. The Cardinals are 1-5 versus the Brewers and 8-2 versus the rest of their schedule. The Brewers are 10-2 versus their NL Central rivals so far. There are still 64 games to play against the four others in the Central, but a good start! Tampa GM of the year. Trades Archer last year for Tyler Glasnow and Austin Meadows. Glasnow 4gms 4-0 1.13 ERA 24IP. Meadows I believe was .350 BA (yep) combined 2.1 BRef WAR currently. This is Max Scherzer in the making Pittsburgh dealt to TB who,ll get 5years years of Ace and a huge trade off better than Archer. Just remember Glasnow's time at Pitts. Was near -2 WAR value when you're fretting this young trio of Brewer Starters. It can be like Yelich's breakout year last year when the switch gets turned and they get it. I’ll forever believe that if the Pirates hadn’t swept the Brewers in that 5-game series in July they would have never made the Archer trade. The recency bias of that series made them believe they were something that they clearly weren’t. It really seemed like they got caught up in the emotion of wanting to be relevant heading into the last couple of months of the season, and they made a trade that from the moment it was finalized had a high potential to haunt them for a really long time. I'm still bitter about the Game 5 no-rain delay call. That was so outrageous.